Watching Jonjo Shelvey’s influential virtuoso shift against Liverpool last night brought but one name to mind: that of former Aston Villa centre-back Chris Nicholl. 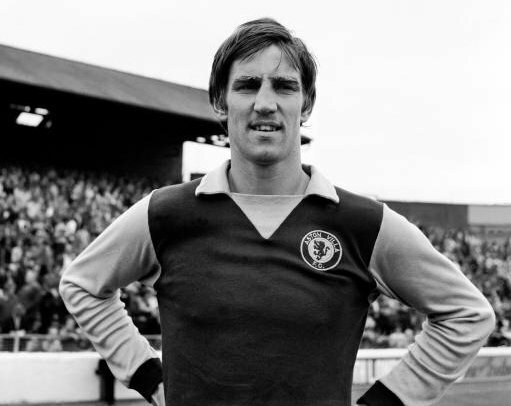 Nicholl was an accomplished defender in his day and part of the Villa side that won the League Cup twice in the mid-1970s, though the footballing community at large unfortunately tends to connect him name with one less-than-glorious feat in particular. When Villa played Leicester at Filbert Street in Division One back in March of 1976, Nicholl managed to grab himself to score four goals from defence – though, sadly for him, the game ended in a 2-2 draw. Now, our maths can be a little shonky at times, but we make that two goals and two own-goals. Twice he put Leicester in front. Twice he equalised for Villa. Indeed, Nicholls’ brace of own-goals ensured he went on to end the season as The Foxes’ fifth leading goalscorer! Nicholl has since gone on record as saying his third goal of the game (his second o.g: an unstoppable diving header) was the finest goal he scored in his career – even better than the 25-yard thunderbastard he scored in the 1977 League Cup Final replay against Everton – though he did have one regret after the game: that the referee refused to give him the match ball! “After I scored those four goals in that 2-2 draw, I asked the referee if I could have the ball,” he told the Birmingham Post in 2006 on the 30th anniversary of his Filbert Street tour de force. Ah, old Wembley. Two towers and one football. Was at that game and remember it well. Chris Nicholl was brought from Luton Town and was one of the best centre halves we ever had. (Paul Mcgrath was the best!) He used to dislocate his shoulder quite often during games and he used to get a team mate to pull it back into position and just carry on playing. Apart from being as tough as nails he had a fair bit of skill as well. Vic Crowe, the manager teamed him up with Ian Ross from Liverpool in the centre of defence and they were certainly a good defence.